A lot of people compare this game as a Diablo clone. They are all false. Gauntlet is it's own style and has it's own very unique gameplay. 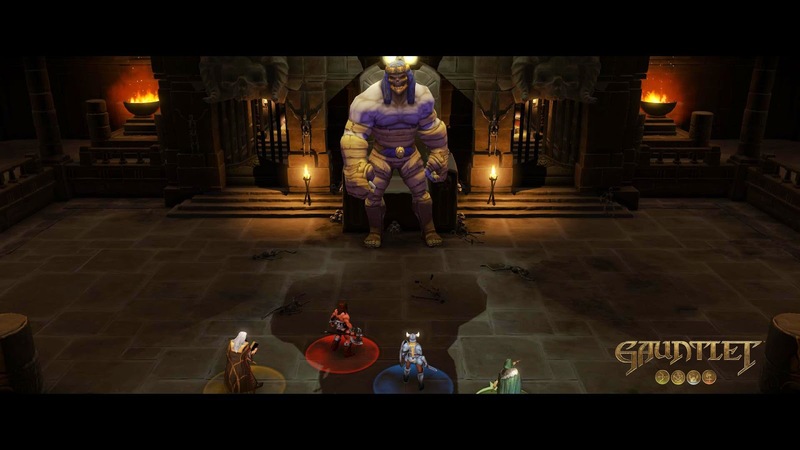 Gauntlet has never been a Diablo clone, it has been out for a long time and was always a different style of gameplay. Gauntlet is however an action RPG but there are no levels, no experience, no loot, just lots and lots of gold. In this version of Gauntlet you go through each dungeon to get the shard which lies at the very end. There are three zones, and each zone has 4 levels. Each level has 3 levels of it's own where the final area in each zone is always a big boss battle. Gauntlet is very challenging especially on the higher difficulties. With this Gauntlet you earn gold, you use this gold to buy items which you can equip two at a time with your "Q" and "E" keys. Each relic does something to help you out. It could be summon clones of yourself or create a crystal that taunts enemies and blowing up after it is damaged enough. You can also use the gold to upgrade these relic to make them more powerful. As I said earlier there is no loot. As a reward for completing certain difficulties you can unlock and purchase cosmetic armor for each class with gold. 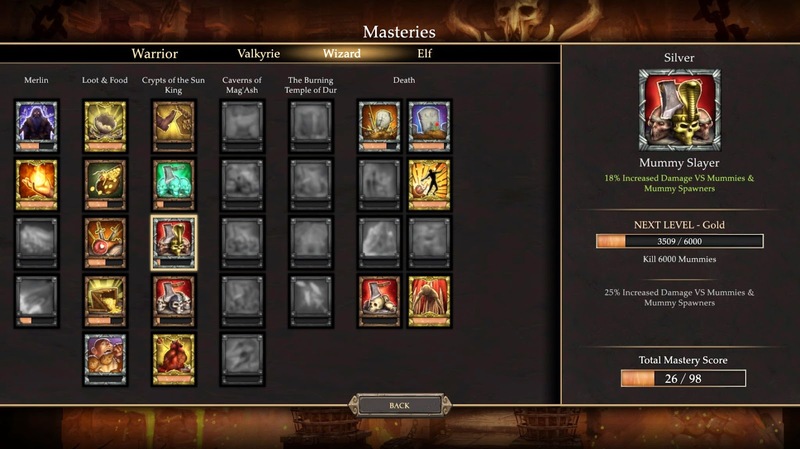 Each class also has a mastery tree. Every time you complete a mastery like "Kill 12,000 Monsters" you will earn a buff for that class. Each mastery starts off as bronze and goes to gold. One buff can increase your damage by 10%, others will give you more gold from breaking crates or vases. 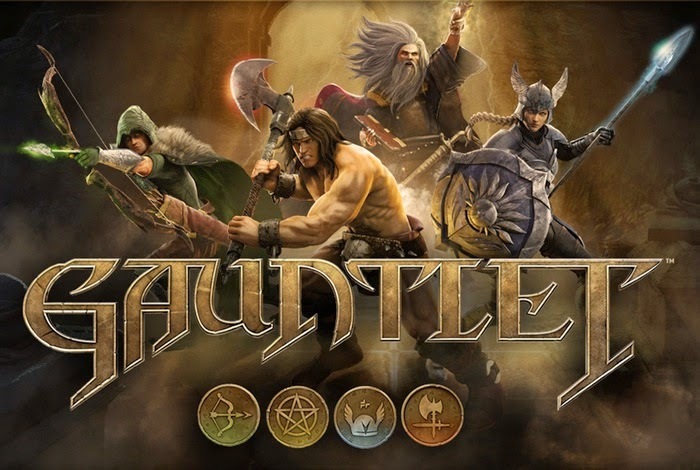 With Gauntlet there isn't ALOT of replay value but there is some. After you have completed the 4 hour game you can go back with different classes, play a higher difficulty to get more cosmetic armor, or even complete all of your masteries. Do not forget there is also co-op mode which is way more fun and frustrating playing with your friends. There is nothing really visually amazing about Gauntlet. If your PC can run it on Max setting which should not be a big problem for most PC's running this game then it will look pretty good. The visual effects are nice, the level designs are repetitive but look good. Each level is not randomized, it is always the same design which is okay but this day in age a lot of games are taking advantage of that technology. The music is fantastic as well as the audio effects. Has a classic Gauntlet sound to it which I think people who've played the original Gauntlet will enjoy immensely. Even when you pick up items it still used the classic sounds from the original game.